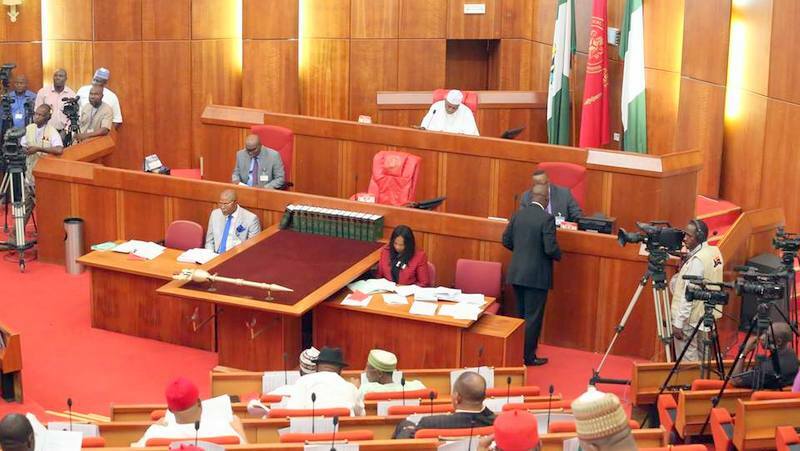 The Nigerian Senate is backing the Federal Government in its decision to remove subsidy on petrol and peg the pump price of the product at 145 per litre, upping it by over 67.6 per cent. The Senate took the decision on Tuesday after holding a closed-door meeting which lasted for about an hour. Rising from the meeting, Deputy Senate President Ike Ekwerenmadu, said the Senate had resolved to engage with the Federal Government to find out sustainable ways of improving the welfare of Nigerians. He told reporters that the Senate sympathised with Nigerians for the hardship which the new price of petrol would cause and therefore called on the government to implement the palliatives in the 2016 budget. The Senate’s position on the issue is coming a day after the House of Representatives invited the Minister of State for Petroleum Resources, Dr. Ibe Kachikwu, to brief the house on why the Federal Government took the decision. Some lawmakers of the Peoples Democratic Party refused to allow the Minister address the special session of the House, in protest of the petrol price increase. They waved Nigeria’s flags, chanting songs in protest before some of their colleagues prevailed on them to allow the Minister brief the lawmakers. The government had said that the decision was taken to address the scarcity of the product that had resulted due to low importation caused by the scarcity of foreign exchange and the inability of the nation’’s refineries to produce petrol at optimum level.